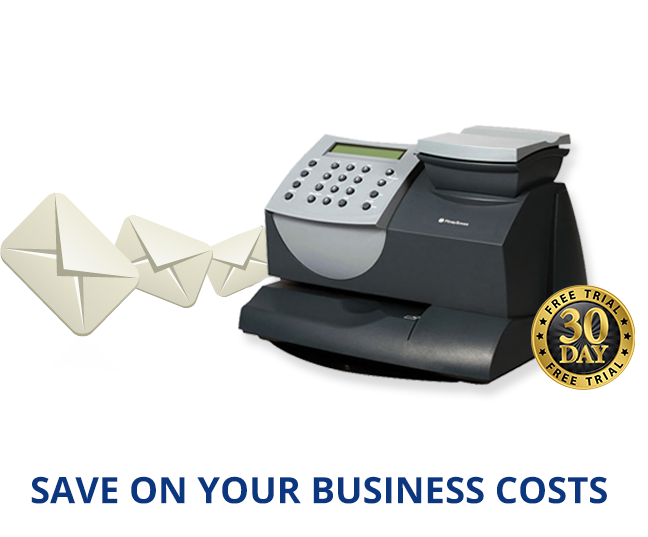 Frama franking machines are some of the most highly trusted pieces of equipment in the UK when it comes to sending mail. Frama was first established in 1970 and since that time has produced many of the world’s ‘firsts’ when it comes to franking machines. Between 1984 and 1998 Frama; launched a franking machine with automatic date change, launched a system with integrated tariff calculation, introduced a franking machine with a touch screen and launched the fastest thermo transfer franking machine. These were all world’s firsts showing how innovative the company is, in 2014 Frama received Royal Mail approval for the new MailMark technology in the UK, becoming the first manufacturer to receive this. Frama manufacture their franking products in Switzerland where quality standards are unsurpassed and technology is state-of-the-art. They have built products to manage physical mail with a focus on secure handling. All of the Frama employees go through the Frama CareS programme to ensure high standards and competence. The Frama product range includes; franking machines, folder inserters, letter openers and MailTrace tracking software. Here are examples of low, medium and high franking machines in the Frama range. The Matrix F22 is a low volume franking machine offered by Frama. The Matrix F22 can handle 27 items a minute and has a recommended maximum of 25-50 items per day so is ideal for new or smaller businesses. The Matrix F22 has the option of a 2, 5 or 30kg weighing scale to ensure you pay the exact postage every time rather than guessing or overpaying. You can always be sure you are paying the correct prices as the Matrix F22 gives you instant access to UK and overseas Royal Mail franking prices. Scale options of 2kg, 5kg or 30kg. The Matrix F22 is easy to use, allows you to advertise on the envelopes and will save you money. The Frama Matrix F22 is perfect for franking machine beginners as it gives you ease of use combined with fantastic features. The Matrix F22 can frank onto envelopes of up to 10mm and will easily frank onto labels for larger mail ensuring all needs are met. You can manage your mail and your costs easily saving you both time and money. The Matrix F32 can process up to 200 items a day at a rate of 50 items a minute making it an ideal medium volume franking machine. The F32 model comes with ComTouch interface technology giving you 30 OneTouch functions to make franking even easier. Something else the Matrix F32 features to make franking more productive is the optional 2, 5 or 30kg weighing scales. A semi-automatic letter feeding system allows the letters to be processed faster and each stamp will be precise, it also means you are able to do other things while the machine works its franking magic! ComTouch is Framas exclusive user platform, it is system intelligence that uses touch screen technology and has been designed for ease of use. ComTouch guides you through the franking process ensuring you have everything you need at your fingertips. The OneTouch function provides you with hasslefree usage, it can perform many tasks at the touch of a button and has been designed with a self-explanatory operating concept in mind. The Matrix F32 comes with all the latest technologies to make sending mail as quick and simple as possible. This medium volume machine has been designed to provide you with hassle free franking, it is compact, high quality and will save you those last minute trips to the post office. Frama offers the Matrix F82 as a solution for busy mailrooms. The F82 is fitted with an automatic mail feeder that allows the machine to frank up to 140 letters a minute. It is designed to reliably and efficiently handle large mail volumes every day, with an ability to process a maximum of 1000 letters per day. The Matrix F82 also has an integrated scale and label dispenser so you can easily frank parcels as well as letters. This franking machine uses long life rollers and stainless steel in areas of the machine that experience the most stress to make it more robust and reliable. As a high volume machine the F82 is large in size and in weight. 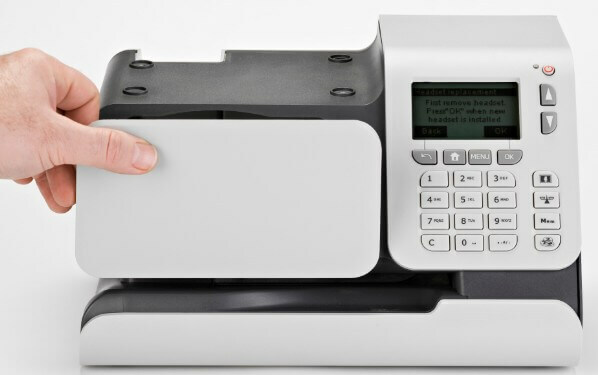 A large franking machine is a big investment that needs to be reliable and long lasting, the F82 has been designed to withstand high volumes while also being cost effective and easy to use. To find the prices for the specific machines the best thing to do is request a quote. 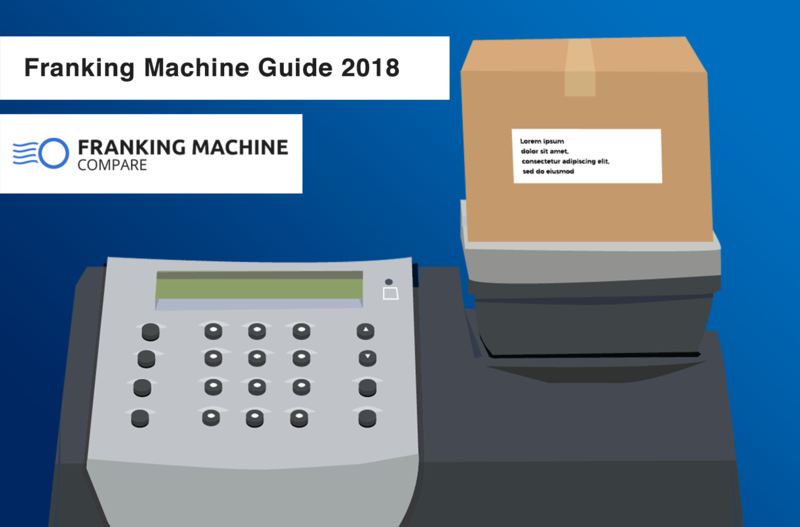 Here is a rough pricing guide for Frama franking machines. A lower end machine would cost around £1,000 to buy outright or approximately £20 a month. Compared to the high-end machine that costs around £10,000 to buy and at least £300 a month. Frama has a range of high quality machines available, they all have great features that really make light work of franking. In the range the machines vary in ability and price to ensure the different needs of businesses are met. The company also offers fantastic customer service throughout the life of your product making sure the machine is well maintained and always working perfectly. You can also be sure you are paying the cheapest Royal Mail postage prices as all of the Frama Matrix products are Mailmark compliant.